My friend broke his Micromax A27. He flashed a wrong ROM in Micromax A27 and I knew that opening recovery console of Micromax A27 will take much of hours (because I need to try every combination) because currently no one is successful in opening recovery console of Micromax A27. What was good, was that he made a Nandroid backup. So I was thinking how to unbrick it, I thought for 5 minutes and fixed his device. This is because of fastboot mode. Also, it was speadtrum device and I don't have much experience in speadtrum devices so it was just a challenge for me that how to unbrick Micromax A27. Firstly, it takes 20-30 seconds to boot in Fastboot mode and I always felt that this was a wrong combination (but it was correct!) and then I try another, I tried many methods and all. I installed PDANet drivers in my computer and I was lucky that I got Fastboot working with those PDANet drivers. Both Micromax A27 and Micromax A35 are the same devices (because the same chipset) and trust me, it will work on both the devices, I guarantee you this. Finally I fixed the problem by flashing system partition via USB cable through Fastboot. Let's no more talk about my experience and move to our main piece of this article: How To (Hard or Soft) Unbrick Micromax A27 Bolt or Micromax A35. a ClockWorkMod for case 1 and nothing except the downloads given here. a USB cable for both the cases. USB Drivers, firmware, flashing tool for case 2. Battery charged up to 50% (for both the cases). Nothing except your nandroid backup which you have made. Micromax A27 Stock Firmware: Please Click here./ Miromax A35 Stock Firmware: Please Click HERE. Flashing Tools: Please Click HERE. Note: Before or means a situation when you have a nandroid backup and after or it means a situation when you don't have a Nandroid backup. Go to Clockworkmod folder and follow to backup folder. Please open the backup which you made of Micromax A27/ Micromax A35 and copy & paste system.yaffs2.img image to your folder. 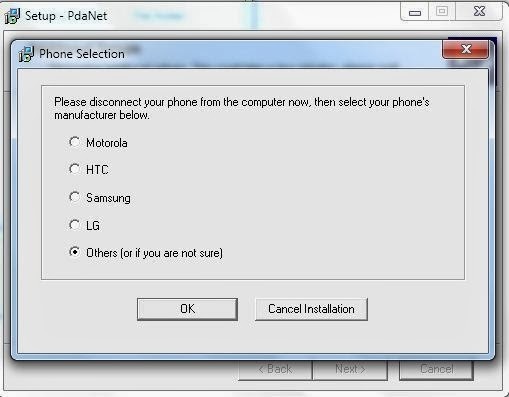 Now install PDANet like a normal application and when it will display phone selection then tick Others (if not sure) option. Press and hold the Volume down and Power button simultaneously for 20-30 seconds. When you wills see fastboot mode in the screen with red color of text then connect your USB with it. Hold Shift key and Right click on the folder in which you have extracted system image and fastboot. Click on Open command window here. CMD will open now, type fastboot devices. If you see your device or anything in this then it means that your device is connected, if list goes blank then try again. It will send the file and will automatically flash it.. 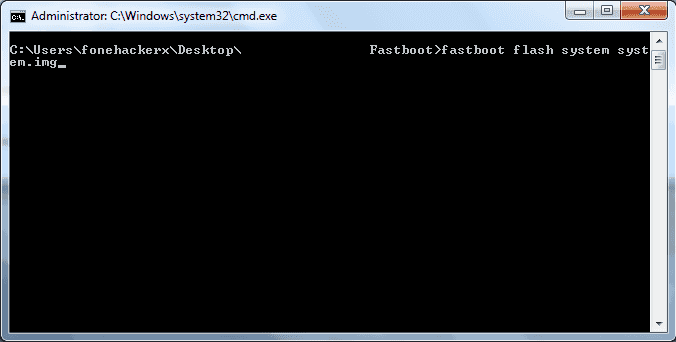 When it will flash completely, then type fastboot reboot in the same command prompt window. Open DPInst.exe file to install your drivers. Let it install, and close it. Extract the file (firmware) and there will be .pac file which is having our firmware of Micromax A27/ Micromax A35. Open the tool and select the .pac file which you just extracted. Open the flasher and press Play/Start on the tool. 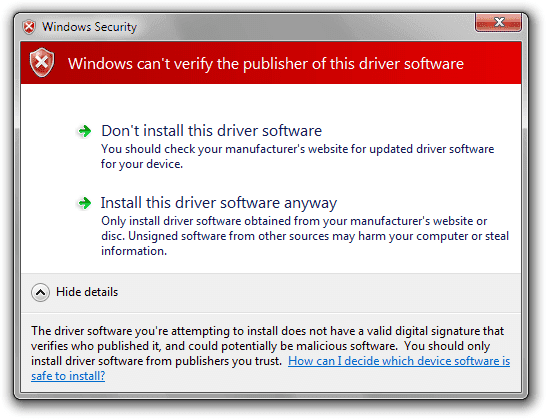 Installation of the drivers will take automatically and it will flash your system. my mobile drivers and not getting installed on pc not detecting in sp tools will fastboot will able to detect my modem . :O Try charging it, if it displays charging image, you are safe and if not then no scope. No! You don't have to install it. Just open it and follow whats given here. Hmm, problem with you only, I think. I am glad that it worked for you! Stay tuned! hey plzz help me by mistake i downloaded a wrong rom n after tht i wiped data by going in recovery mode n dalvik cashe n after that my phone rebooted n now i dont have any other option 0of going into recovery mode coz itz rebooting again n agian what shud i do ????? I have tries the system.img thingi but no work then I even tried the case 2 the upgrade downloader thingi but it also stucks at the reading flash somethingish so please help me I am unable to do it and I doub I will get a new phone in recent so please and please give reply fast. bro ! hats off !! love you alot man !! bhai , i bricked my phone and couldnt flash it , idk what was happening but then i followed your case 1 and it worked !!!! only fastboot was working and i had no idea how to flash via fastboot ! ! but your method worked like charm !! i was about to throw my cell ! hats off ! thanks .. ! plug it in. Press volume down button only.